I am not putting in links because this is a representation of thousands of photos that are dressed up like this ! Arm - Hand Holding Doll-Figurine Etc? But what is behind the black square? Image below from "Startling 5" category! Gigantic Holes That Are Covered Up On The Side Of An Extremely Large Crater! take place between the Martians and the United States! Just "Track" Marks Or Is Their Some Alterations by Nasa's Graphic Designers? I'm sure most people will think the logical explanation are multiple track marks from Curiosity Rover's wheels! And they could very well be right, but I think Nasa likes to obfuscate the track marks to their liking. I've seen that many times! But on the other hand you never know what Martians can do with material that looks like sand as i've uploaded in the "Fabric" category! Which I highly recommend looking at if you think all sand is sand. Do I know 100% that this Nasa image has been obfuscated, no ! be Martian granite, maybe made of some type of pre-fabrication like our fake granite counter top slabs but made of an algae substance because that is what I think Martians grow there. Also because so much looks green etc. In the image right below I made a black border over the copied "dirt" photo over the sculpture to the right! to make sure you understand what I did ! Please zoom in to see better ! would be to have the consent of the Martians themselves! Even With The Fish-Eye Lens It Shouldn't Be That Way ! Notice in the small 'hand gesture" image how it's eyes seem to look up ! use subtle expressions as well as complete subtle floor sculpture dioramas! Message-stories with multiple meanings. If you look close you can see even in the "hand gesture" images there are a lot of other imprints and subtle small sculpture- figurine like objects! Curiosity fake tracks, contrasts and shadows being exaggerated or Curiosity real tracks copied and pasted etc. I really do think it is based on the Brookings Institute Report which is available on Richard Hoaglands website. He is one of the first ones that mentioned that Nasa has a very slow time period to reveal what is going on on mars because it could affect the public negatively. And the Brookings Institute Report mentions that, in that the report talks of how it would not be in the best interest for them (nasa) to reveal about an alien presents in near-by planets too soon etc. Some days there is not much to choose from and you almost have to go with the "Downsampled" images. Because they are the only ones that are "red" which means those are the uploads of the day! 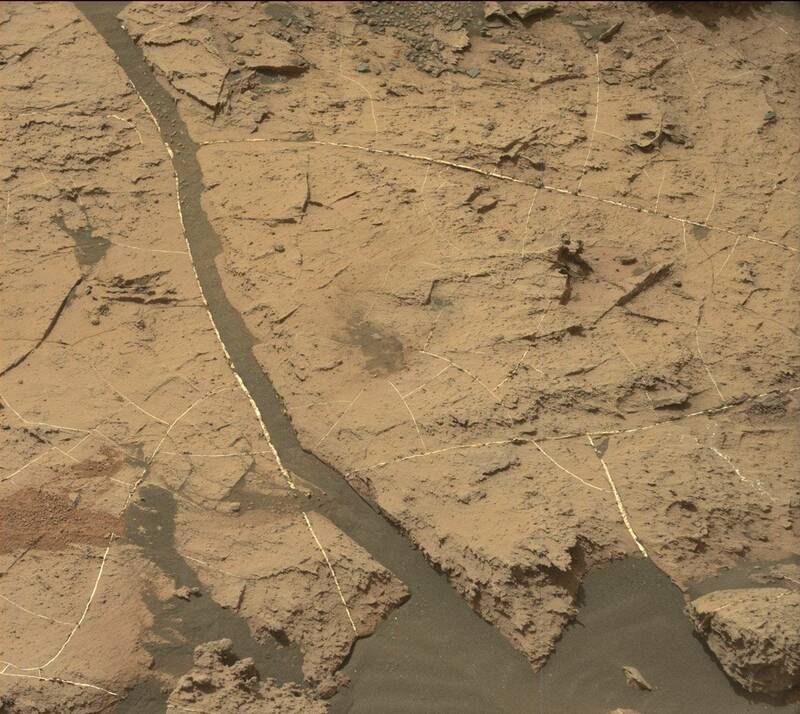 ​You would think with all the billion of images that Curiosity has taken through the years and other rovers that there would be such pristine photos that they would knock your socks off! Is this a Nasa hint to show there is an existing civilization on (under) mars? I see this over and over again. A new fresh green fake rock when all around it is ancient or very old! When nasa gets into sketch mode it can be tough to see anomalies, artifacts and sculptures! Notice how green the objects are to the right! Why so many figurines that are highly sculpted seem so faded? An Owl Could See But The Human Eye Can't ! Once that happens you simply have to hope Nasa gets into a better mood :) And starts up again in the right direction! At least for us anomaly hunters that know there is plenty of good things going on on mars ! "Truth's Protective Layers". . . Please see more of the video for the completion of the phrase! It just doesn't seem right to me, or am I missing something? Why The Screen Door Effect On So Many Curiosity Mascam Images? Nasa LOVES To Fade Big-Time! One of the very best ways to hide something in mars images would be to raise the contrast so it doesn't look like brush strokes or that it digitally has been altered in individual sections! If you raise the total contrast then it looks less noticeable, just an on over exposed photo. The whites whiter and the darks darker! But why would nasa do that when they have millions if not billions of photos to choose from? ﻿Too ﻿Much Digital Paint On Outer-Space Pics! Cindy Lauper's song "I see your true colors shining through". This is from ESA ~! Looks Like Detail, Feels Like Detail But Is It Detail? Notice how sculptured the whole scene looks. And has such an obvious intelligently made flow to it! No wonder some scientist get mixed up thinking everything is pareidolia! Here are some examples of artifacts, anomalies, sculptures, caves etc. that seem very odd like they have been altered! Some in minor ways and some in mind blowing drop - dead jaw dropping ways! Possible openings for space craft? Here is a video that goes along with the image of the two holes right above this text! plain digitally painting objects black to hide what is too symmetrical etc. Some have said these are cities on mars. I say they are stamped to hide what is underneath! Vacuum Cleaner Type Nozzle - to Hide What is Underneath? Because it is scary did nasa try to hid the face partially? This maybe the most used technique that permeates throughout so many Curiosity Mascam photos. That is, Curiosity puts in true upfront imagery, then if there is a civilization that looks too symmetrical and obvious, they put in a fake scenery or really lowers the contrast and fades in such a way that it really seems dull and lifeless! You could say the reason for such blackness the left nav cam and right nav cam, hazard cams are taking photos of, is needed to have just the right amount of light on their up-front selected objects. But year after year the same process is the same. If it is mechanical they always make sure that images are contrasted to the hilt! In the mascam, what is different is when it comes to sculptures, or more of an artistic venue! Then they are be a bit more generous in clarity! But even then, nasa is extremely selective what gets sharpened and what gets dulled, blurred, smudged or should I say obfuscated ! Martian Sucking On Pipe Desparate For Water?